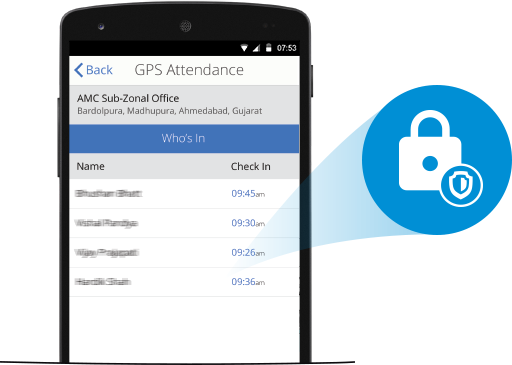 Verification and activation of mobile phone through SMS to provide secure login in order to prevent employee sharing the same phone for GPS Attendance Tracking purposes. 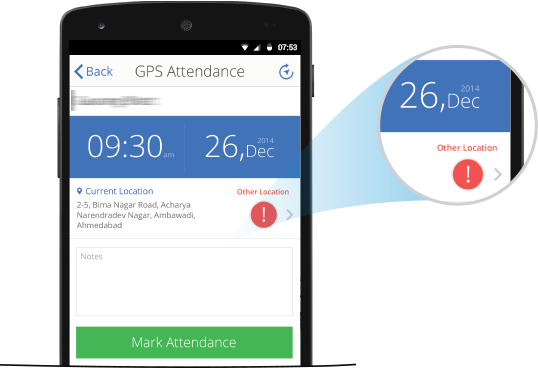 SECURE LOGIN TO PREVENT FALSIFYING ATTENDANCE. The login process of the application is completely safe and secure to prevent any kind of falsifying attendance. ABILITY TO CHECK CO-WORKER’S ‘IN’ OR ‘OUT’ STATUS. 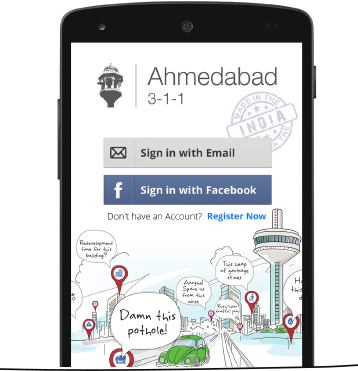 Now, it becomes a lot easier for you to schedule meetings, communicate with co-workers, etc. 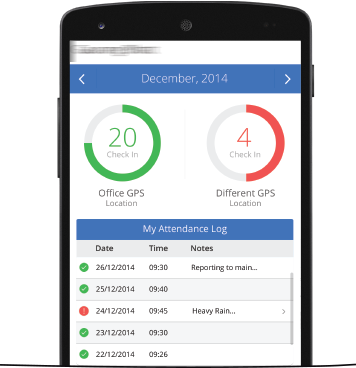 Employees and staff members can see who is already present in the location and at what time they reported in. Employees are also able to check-in and check-out from different locations throughout the day if their profile is configured to do so. Employee’s self-service log allows all the employees (users) to review their monthly activity log, which they can email as well. 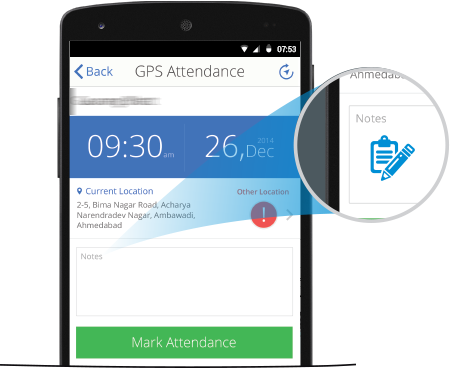 Employees can also add notes and comments, enabling them to explain their delays, unexpected down time, etc.